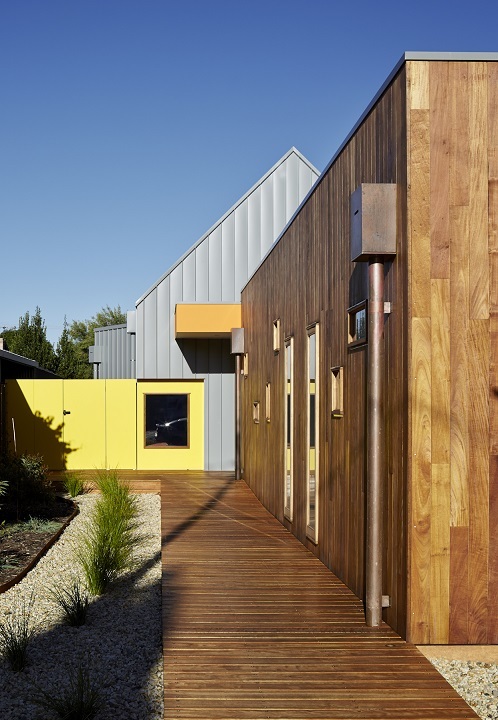 Crayon House is a new build incorporating of whole-of-site WSUD planning. 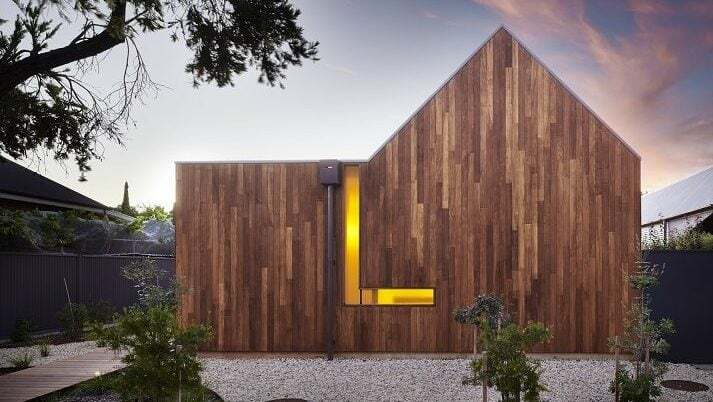 Creative passive design delivers a environmentally-responsible, liveable and beautiful structure with multiple WSUD features. 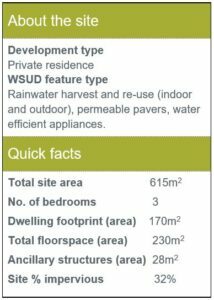 Rainwater harvesting: 95% of the roof area is connected to downpipes. 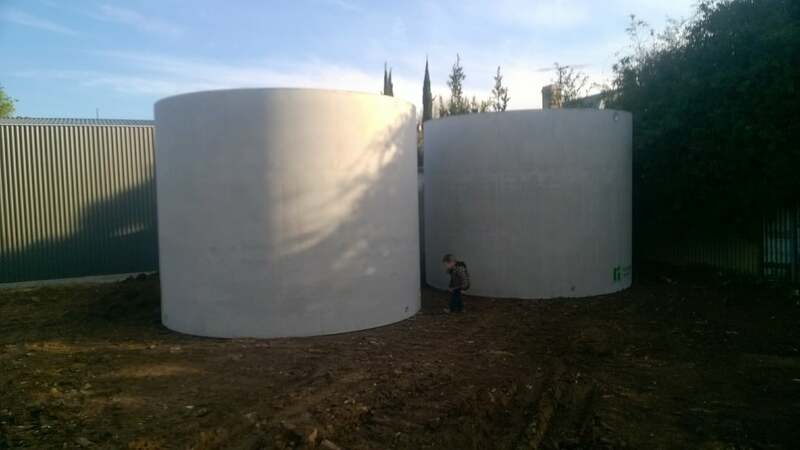 Rainwater is directed into underground 42,000L-capacity tanks in the front yard, which provide the entire property’s water supply (house and garden) for 9 months. 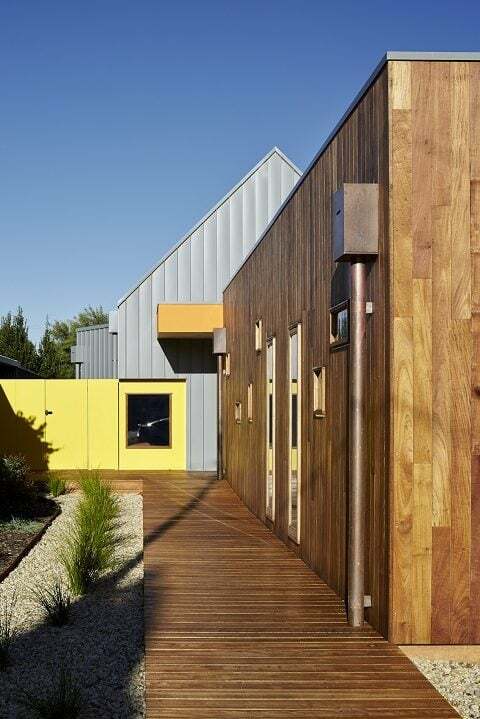 Permeable surfaces: decking and gravel allow rainwater to infiltrate into the soil, adding moisture to sustain the garden and landscaping, as well as reduce run-off and improve stormwater quality. 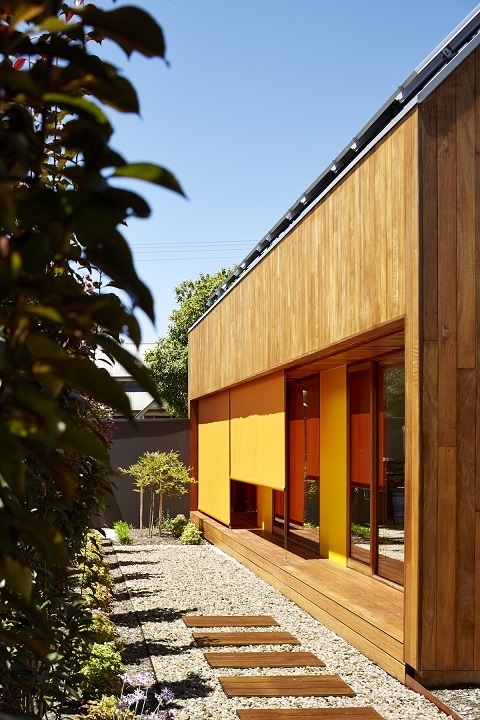 Microclimate cooling: the design includes a lawned area irrigated with rainwater, that has been strategically located adjacent to living areas to provide cooling of outside air temperatures providing cooler breezes into the home. 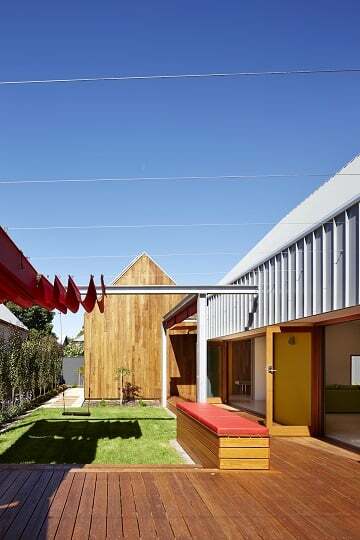 Smart, efficient design: WSUD and sustainability elements are designed to be convenient to encourage habitual use. For example, a sump in the front garden enables easy, ground-level access for the removal of leaf litter and sediment from of all contributing downpipes.